session (longer intervals with shorter rest periods). endurance level is, there will be a training session for you. Contact Nuno with any questions at [email protected]. personal records in your next event. and Friday mornings at San Diego High School. interested in living a healthier, happier life. Can I follow the Endurance Program along with my regular CrossFit training? Absolutely! This training program was created with the intention of keeping your CF training the priority and adding the endurance portion to supplement it. We encourage you to keep doing 3-5 days a week of CrossFit, and 2-3 days of running based on your goals. When you first start our program, add 1 or 2 of the running sessions per week and after the first month or so - once your body has adjusted to the training volume then add in the 3rd weekly run if you can do so. When can I join and how much does it cost? The great thing about our program is that you can join it anytime. We do structure our training for a specific cycle and distance, but you can always start it when it works best for your schedule. Here’s what I mean - our current cycle might be a 12 week - ½ marathon program. You find out about it when we’re already halfway into it… No problem, when we post the weekly workouts - they are labeled according to each week of the cycle. Ex: ½ Marathon Week 1 - so you can always go back and start it from the beginning. This also allows you to be flexible with your training program around the race you want to sign up for. The program is $29/month with 3 and 6 month discount options. How many sessions per week are provided in the Endurance Program? Does the program include any rowing, biking or swimming? We have focused primarily on running for now, but you can definitely modify the workouts for rowing, biking, ski erg and swimming to achieve the same endurance training stimulus. Will there be interaction with the coaches? 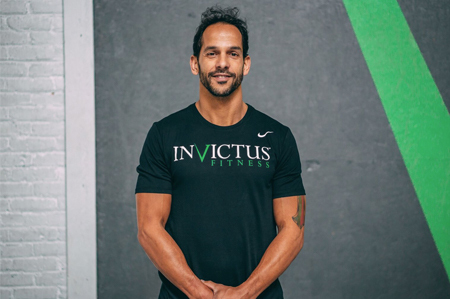 You get unlimited access to coach Nuno Costa who creates the program and has been coaching endurance athletes for over 10 years. There is a private facebook group you will be able to join once you enroll in the Endurance Online Program. You are encouraged to post your results, questions, comments in the group. If you need a break from training, or to cancel your account, simply email [email protected] to cancel before your billing date. You can join back up whenever you’re ready to start training again.